Black Diamond performance braking range has gone from strength to strength since their launch in 1992. In 1995 Black Diamond was awarded a win against all the other major brands in the Max Power Awards vindicating the design and testing work prior to their launch. The 24 groove disc, groove shape, profile and post machining heat treatment all perform their part in making this product a world beater. 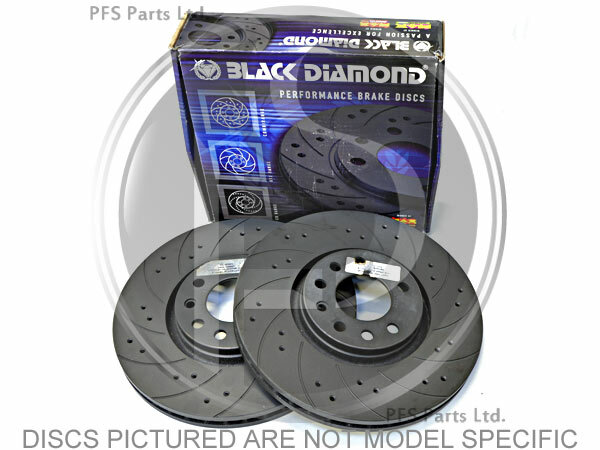 Black Diamond brake discs together with Black Diamond Predator brake pads make an awesome combination. Each Black Diamond disc has 12 grooves and 24 cross drillings to help dissipate heat and debris from your brake pads under extreme braking conditions.